Dan Dempsey watched his first airshow as a youngster at RCAF Station Rockcliffe in Ottawa in 1959. 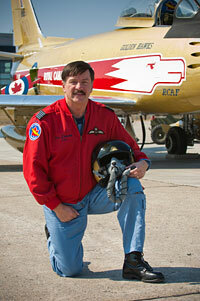 From that early exposure grew a passion for flying and airshows that led to a 23 year military career with the Canadian Forces. 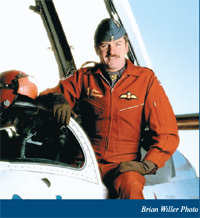 A graduate of Royal Roads Military College and the Royal Military College of Canada, his military career included tours as a jet instructor, demonstration pilot with Canada’s Snowbirds nine-plane aerobatic team, fighter pilot on the CF-104 Starfighter based in Baden-Soellingen, West Germany and executive assistant to the Commander Air Command. It was during his second tour as commanding officer of the Snowbirds in 1989 and 1990 that he led the team through their 20th anniversary and 1,000th official performance. For his contribution to aviation in Canada, he was named to the Maclean’s magazine annual Honour Roll in December 1990. Dan retired from the Canadian Forces in 1993 and was employed in the commercial airline industry for over 15 years flying the Lockheed L-1011 Tristar, Boeing 747-400 and Boeing 777–200/300/300ER based in Hong Kong. His airline career took him to 30 destinations across Asia, the Middle East, Europe and North America. He retired from Cathay Pacific Airlines in 2009 as a training captain on the B777, his log books now recording over 14,000 hours flying time. Dan is now employed as a pilot by Top Aces Inc, a subsidiary of Discovery Air, which provides dedicated combat support training to the Canadian Forces. 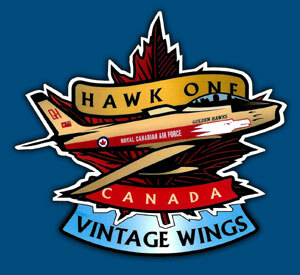 He was also honoured to join the Centennial Heritage Flight in 2009, one of five pilots who flew Hawk One, the classic F-86 Sabre in Golden Hawk colours, across Canada in celebration of the nation's 100th anniversary of powered flight. A Tradition of Excellence is now in its second printing. 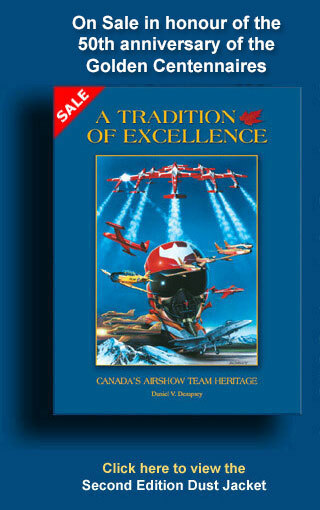 With its rare collection of interviews, photographs and artwork, it represents a detailed and loving tribute to a proud aerial legacy and the Canadians who created it. Accolades for the book have been received from airshow fans around the world (see Reviews). Please use the email address below for general inquiries and include your contact information. To receive your copy of the second edition of A Tradition of Excellence, please visit the Ordering Page. Payment may be made via cheque, money order or through PayPal for credit cards.